For many Royal Docks area families it was their only holiday. The working and living conditions would have today’s ‘elf and safety police up in arms. But as journalist and historian Colin Grainger recalls, it’s almost impossible to find anyone who didn’t love hop-picking in the fields of Kent. There were songs, laughs and happy days galore as one Canning Towner, who went from the age of nine months to nine years recalls. “My first thoughts are of messing about in streams with tiddler nets, finding wild rabbits, lying in hammocks that my dad would hook up between poles with heavy string vines,” said June, who was still hop picking when the Fab Four were dominating the charts. But it wasn’t Strawberry Fields Forever for her. It was the hop fields, and all that entailed. For many families from Canning Town, Custom House, North Woolwich and Silvertown, working holidays were the thing. Everyone would join in and travel to ‘the country’ as we called it, to go hop-picking. For many youngsters, the entire six weeks school holiday was spent in the fields. Lesley Quirk, 60, remembers it as a long-standing family tradition, beginning many years before she was born. Her family and friends went to Whitbreads hop farm, in Paddock Wood, Kent. “Dad used his lorry to get us there. We used whatever we could to take the supplies. In later years we packed up our family car. The Bin was a very large sack held up by a framework of poles at each end. Said Lesley: “Us kids would jump in the bins and cover ourselves with the hops and find plenty of caterpillars. Heavy green bines of hops growing up poles and across strings in rows along the fields made it look like a series of tunnels. Once everyone had reached the top of their row the whole field looked totally different, like a bomb had wrecked it with bare bines laid all across the ground. You would have to give a shout to warn everyone when you were pulling down the next bine as the dew would go all over us and leave us wet and cold if we didn’t get out of the way. Music and acting legend David Essex, a Canning Town schoolboy and docker’s son, was delighted to share some of his memories with us and remembered his time fondly. 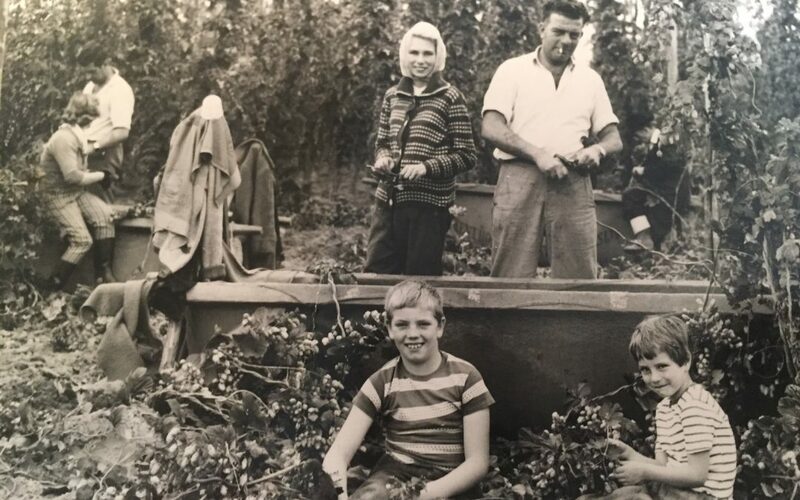 “My parents and I didn’t have many conventional holidays with buckers and spades by the seaside,” he remembers, but we had something that will live in the memory forever – hop-picking trips to Kent. David was just one of many East Enders who headed out to the countryside in the 1950s to escape the noise and pollution of the city. He recalled being overwhelmed by seeing cows in a field for the first time. David also writes about hopping in his book, Over The Moon, and said his place for picking was Rovenden, near Ashford. Like others he got a hut with a mattress and hay. One former North Woolwich resident, Jessie, said: “We actually went hop-picking in September when we should have been returning to school. We were little but I remember it well. We used to sing all kinds of songs as we worked. We used to have to pull up a basket of hops for a packet of Spangles! 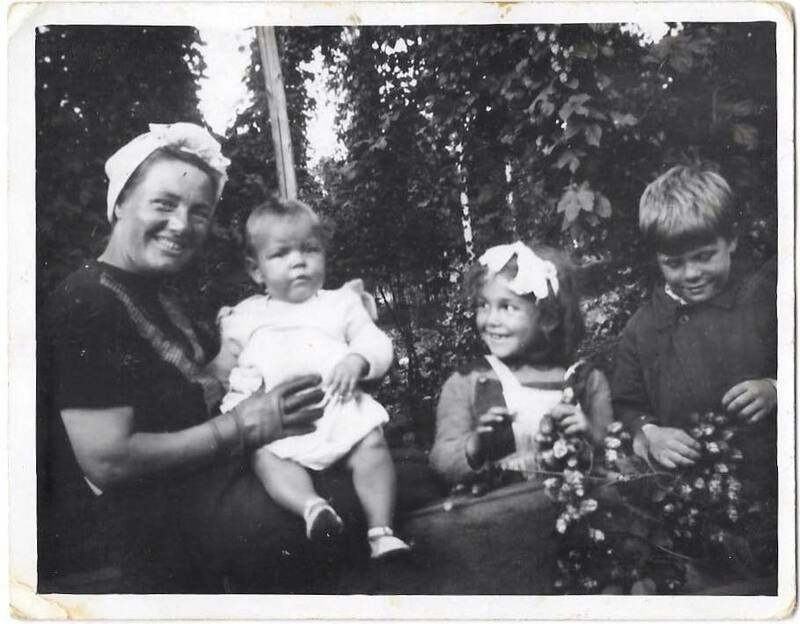 Elaine Bauckham Mitchell, born in Jersey Road, Custom House, first went hop-picking in Kent when she a baby, and treasures a picture of her and her sister Hilary and a lady called Marie Lloyd, from 1951. She now lives in Australia. “I was too young to remember much but the stories have been passed down the generations. Mozie went hop-picking from her home in Burley Road, Custom House, from the age of 16 for many years. Her family even hired a minibus and went back down to Kent to “go-hopping” again on a recent trip home. Kitty Smith, 84, went to the Whitbread Farm, Bell Common, from the late 40s onwards. “For those living in the Royal Docks area, it was our summer holiday,” said Kitty, who lived in Burley Road, Custom House, during her hopping days. “We go there in an open-backed lorry and it was a family affair. Those days were so special. “I loved it when the Salvation Army came with their band and gathered up a lot of the children where we sang and learned some of their songs. They brought us tea and buns on most evenings. During the picking we would often jump or be thrown in the bins, it was such fun. “Hoppers lived in huts with corrugated irons roofs and wooden or brick-built walls. an opening into the ‘hut’ behind to create another room which was then used for a bedroom for parents and children. You could fit in two double pallets beds in the bedroom area so we all had to share beds,” said Kitty. Lesley said: “We had the same huts every year. Families were all in the same row, in a terrace, now we would consider them slum. But then it was something we looked forward to. Would be like camping now without the mod cons? People made an effort by decorating the inside of the huts and brought spare wallpaper with them to put on the wooden walls. I remember we also brought the old type tall kitchen cabinet with the drop down leaf and I can visualise the small camping oven and the plastic water containers that we used to go to the standpipe to fill. “A very small number of the huts were built with wooden stairs going up to a loft area. I thought they were wonderful but we were never lucky enough to have one of those. “Each row of huts had a ‘cookhouse’ in front of them where there would be large fires lit to do cooking, heat water and provide somewhere warm to sit and be sociable late at night or if the weather was cold A tractor would go round the huts and stop by each cookhouse while a worker used a pitchfork to drop bundles of long sticks of wood which we called ‘faggots’ onto the ground and this would be used to make the fires. Some people put doors and windows on their cookhouses but we had a heavy curtain across part of ours. Kitty added: “In the hut we slept on pallet type bed frames with mattresses made out of straw that were provided for us. We used oil lamps and I can remember feeling very cosy in bed looking at the shadows that the lamps made on the wall. In later years we brought our own mattresses with us and wallpaper to brighten up the place and make it like home. “You were normally there for four weeks and then had to go home before school started. We normally got there in September, though on some years it was August Bank Holiday weekend. 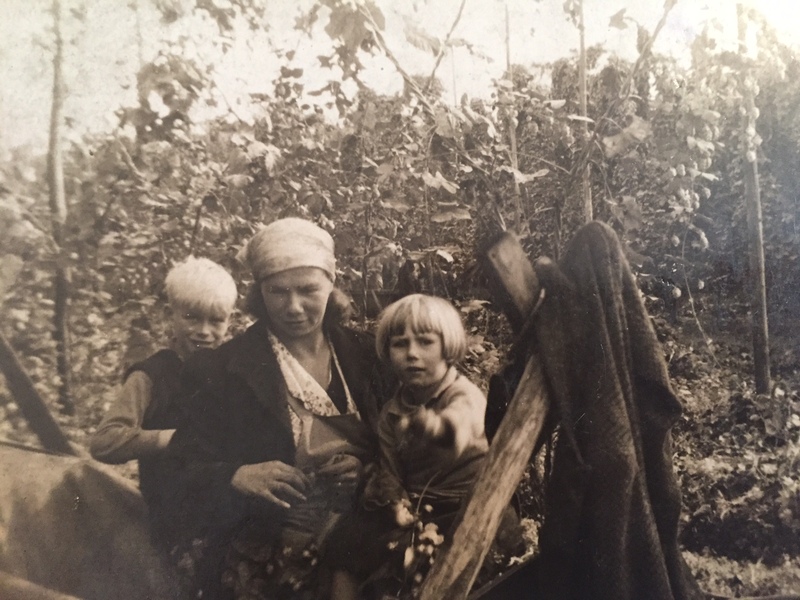 Lesley said: “We would call out to our cousins through the think wooden walls whilst the grown-ups were sitting in the cookhouse drinking tea and talking late at night. Going to the toilet, I remember old wooden and metal toilet blocks which were cold and often not working and if I could avoid going, I would. We used buckets at night. There was a bathhouse but I have no memory of going and I think a sporadic wash down was enough for me. It wasn’t always good weather as it would be early September; when it rained there would be mud everywhere and no drains. Wellies were essential and you could be wearing them day in and day out. People would bring the family dog as well. 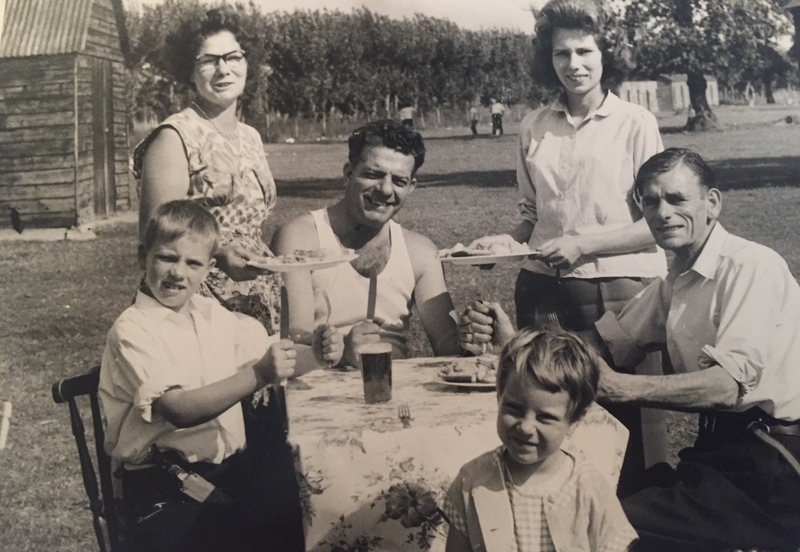 We had old wooden tables and chairs on the grass in front of the huts to have our Sunday lunch. Lesley said: “Frank Ifield “I Remember You” and other 50s records would be booming out of the open pub door and us children would be playing in the car park all night, going to the pub door now and again to ask for bottles of lemonade with straws and crisps. We would go into the pub garden and sit at the metal tables, in the dark lit by some lights shining out from inside the pub the boys would pick up snails and race them on the tables. Another song was revealed by Betty Osbourne, now 85. Jean Pudney Timkey, 62, lived in Jersey Road, Custom House, and now lives in Essex. “Going hopping was the first holiday I remember as a family. My mum’s family, in particular, had a long history of hopping. May’s Farm in Kent was their destination. They were brilliant times and the fresh air did everyone so much good. It was said that the air gave a boost to everyone’s lungs. But her main memory is of an encounter with a bee. Jean’s picture of the truck and of her mother’s friend Joyce with her daughter hiding under the bin magically sum up the times. The tradition for thousands of Royal Docks families for generations eventually came come to an end due to a number of factors. Automation was the biggest as machines picked the hops from the vines in large sheds. Then changes in employment, with families unable to take weeks off work and mothers working outside of the home. Also as the late ‘60s and ‘70s arrived, people would not consider such living with such basic facilities. Proper camping holidays and vacations abroad became the new norm. And the return to school began earlier with stricter attendances required.